Pancake. Photo used the Creative Commons License. This post was written by Hatchet reporter Sandra Loyola. Every student knows that a good breakfast is more effective than an all-nighter when it comes to midterms – or at least that’s what our parents insist. But if you can’t avoid a Gelman cramming session this week, at least treat yourself to free pancakes when the sun starts to come up. The yearly National Pancake Day at IHOP is happening this Tuesday. Head to nearby IHOP restaurants in Columbia Heights or Arlington in Virginia to enjoy a free short stack of buttermilk pancakes. 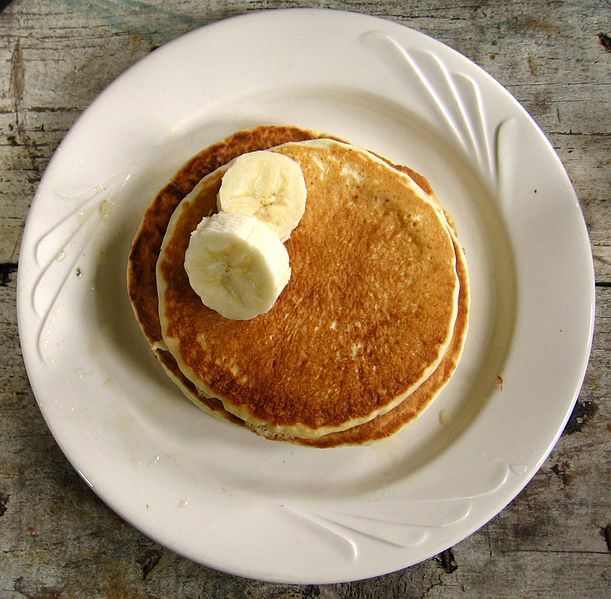 To sweeten the deal National Pancake Day is a day of fundraising where guests are asked to consider making a donation for Children’s Miracle Network Hospitals or other local charities. Not bad if you’re looking for a little karma assistance for that econ midterm.